My sister and her husband were visiting from Florida and camped at the Camp Nelson RV Park about 20 miles south of Lexington. My plan was to drive down to the RV park to pick them up for dinner. They had warned me about the problems they had with the GPS directions to the RV park. They had been directed to Old Lexington Road, which is at least the right road (sort of) to get to the RV park. Siri directed me to turn off onto Old Danville Road, several miles before the bridge over the Kentucky River that my sister had mentioned. I didn’t see the landmarks she had mentioned, so naturally I thought I just hadn’t reached them yet. I forged ahead and quickly found myself on the road-of-no-return. I was on a one-lane road (trail?) up and over the Kentucky Palisades, although I didn’t know it at the time. This seems to have been the original FRONTIER road (ok, I’m exaggerating, but it could have been!) which took me up through heavy forest onto a mountainous ridge with stunning views of the valleys below and equally stunning, sheer drop-offs on the other side. I later found out that the RV park was at the base of one of those cliffs. There weren’t really any connecting roads where I could turn around and backtrack. Siri’s readout just kept showing me getting farther and farther from my destination. After many miles, I finally came out onto a 2-lane road that took me back to U. S. Highway 27 where I started. I think I had just had the grand tour of Jessamine County, Kentucky! After examining the directions on the RV park’s website, I finally figured out the route and arrived 45 minutes late. I had heard from my daughter that GPS for Lexington was spotty, but it appears that you’re on your own for the rest of the state, too! Final thoughts: I plan to drive the the Old Danville Road again sometime when I can enjoy it more. I definitely wouldn’t want to drive it on ice or snow though. And don’t plan on driving an RV up that road–too narrow and twisty! And if you’re looking for the Camp Nelson RV Park, call for directions and don’t rely on your GPS. 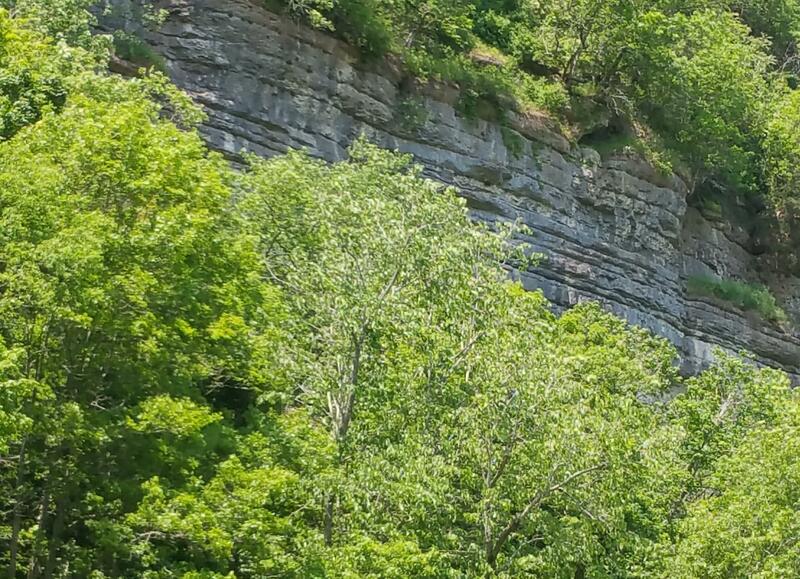 Posted in Day Trips, Kentucky, Road Trips, RV ParksTagged Camp Nelson, Camp Nelson RV site, Jessamine County, Kentucky Palisades, Kentucky River, Old Danville Road, Old Lexington RoadBookmark the permalink. Definitely wouldn’t want to try it with an RV. You always liked the scenic routes. I know very curvey road old Danville Road , yes it would be very dangerious in the winter and ice. Thanks for stopping by, Patty. Are you from Kentucky originally? Thanks, Sami. Glad you liked it!